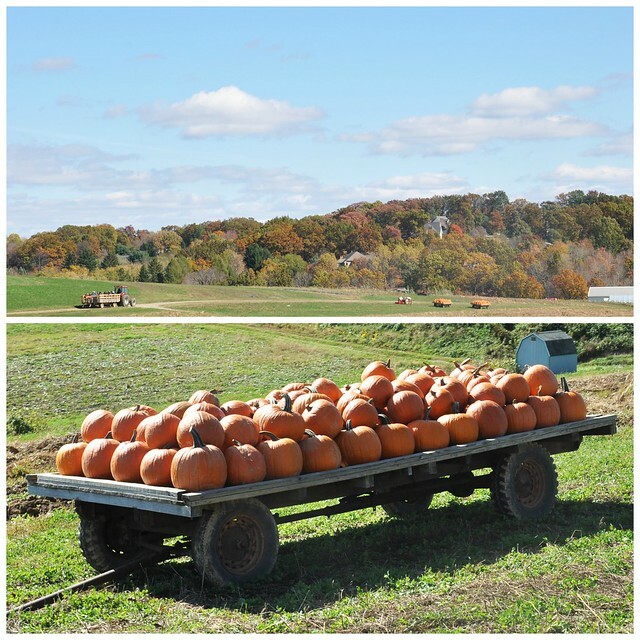 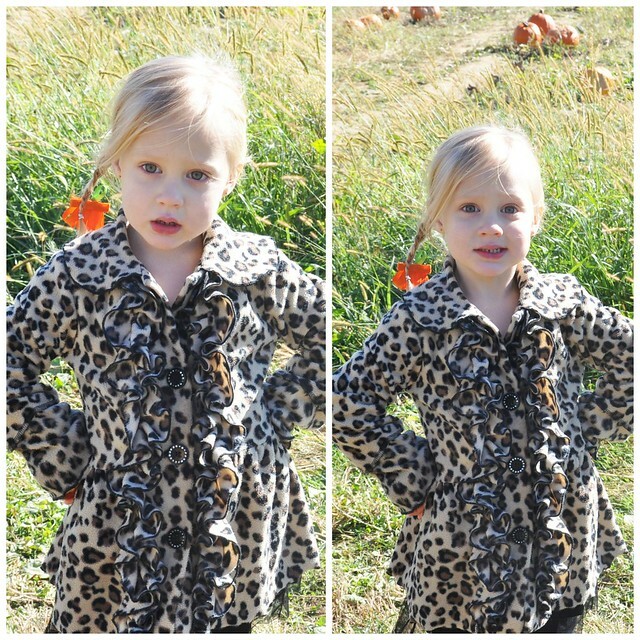 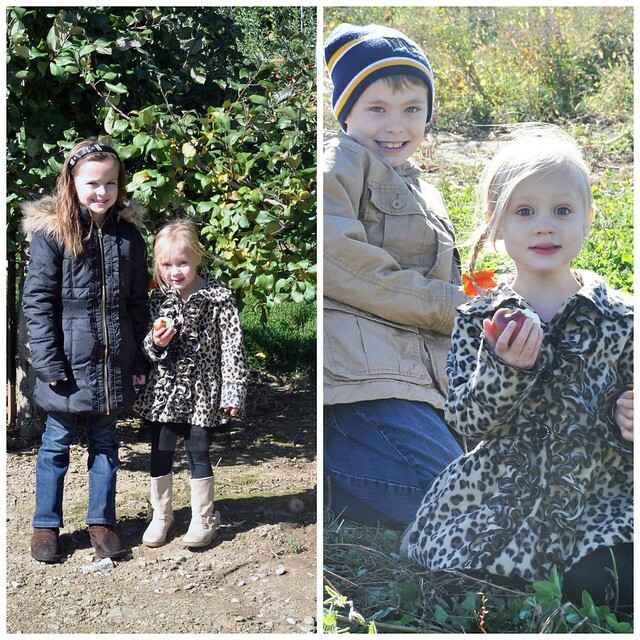 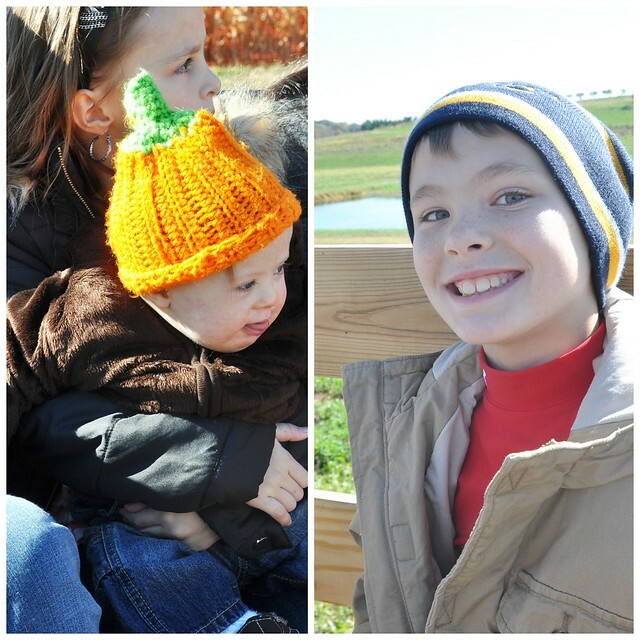 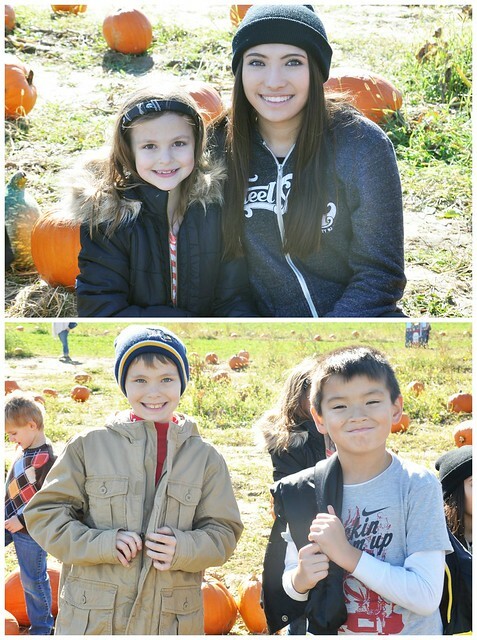 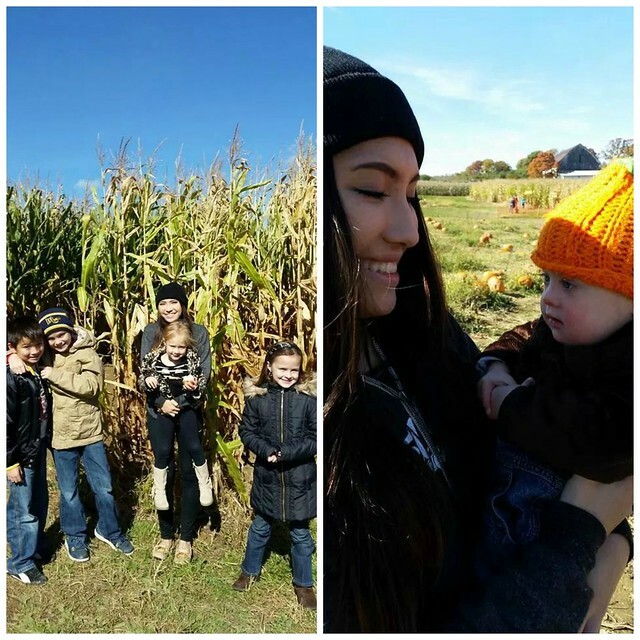 On October 19th, we decided to take advantage of the sunny Fall day, and go to the Pumpkin Patch! 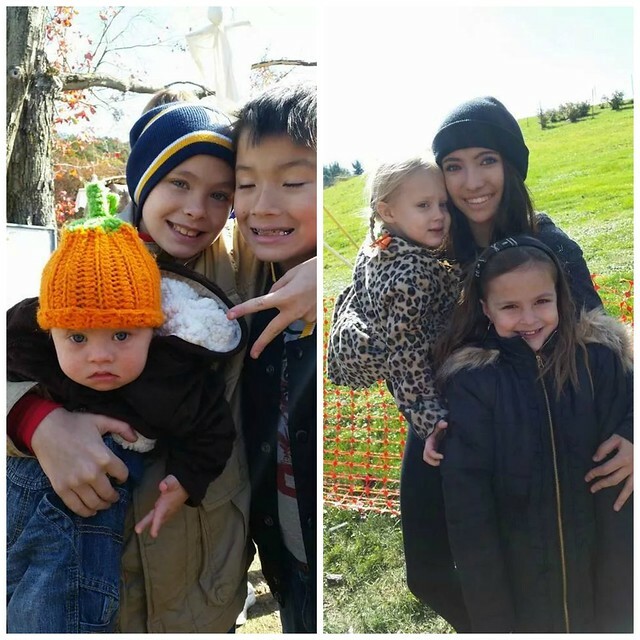 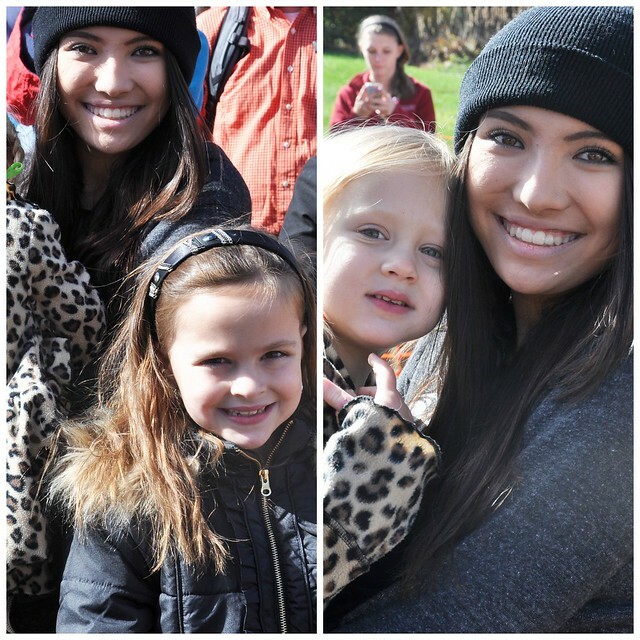 We met up with Amber, Rex, Audrey, and Jack, and waited in line for the the hayride with them. 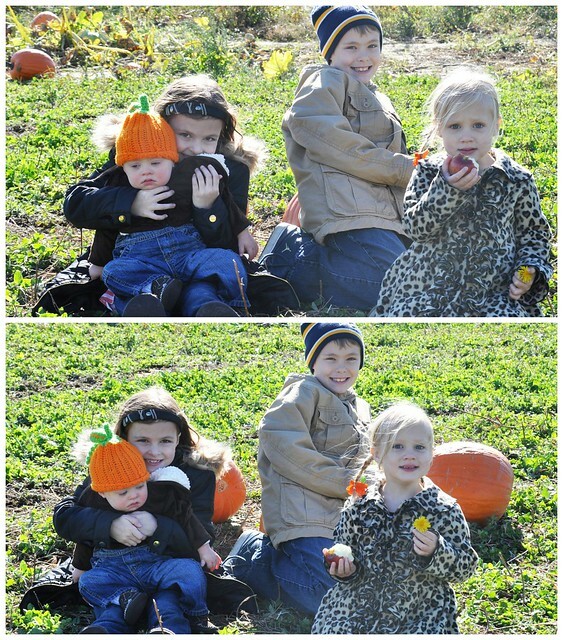 Luckily, we didn't have to wait long. 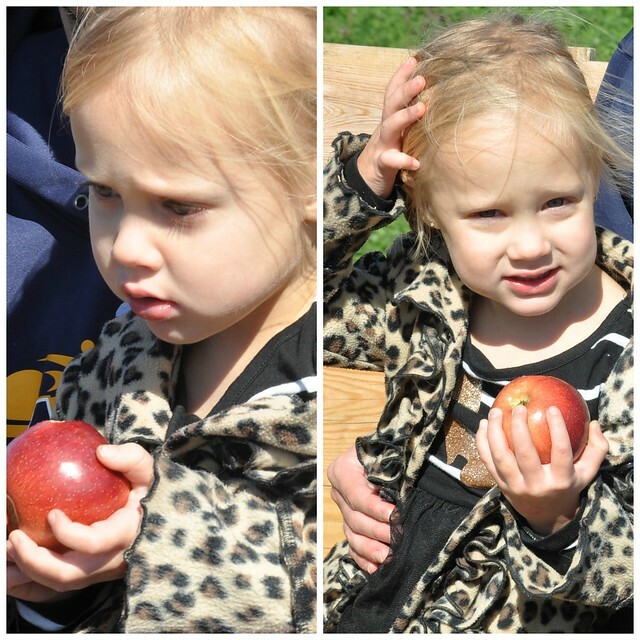 We got free apples as we boarded the wagon, and enjoyed them on the bumpy ride up to the patch! 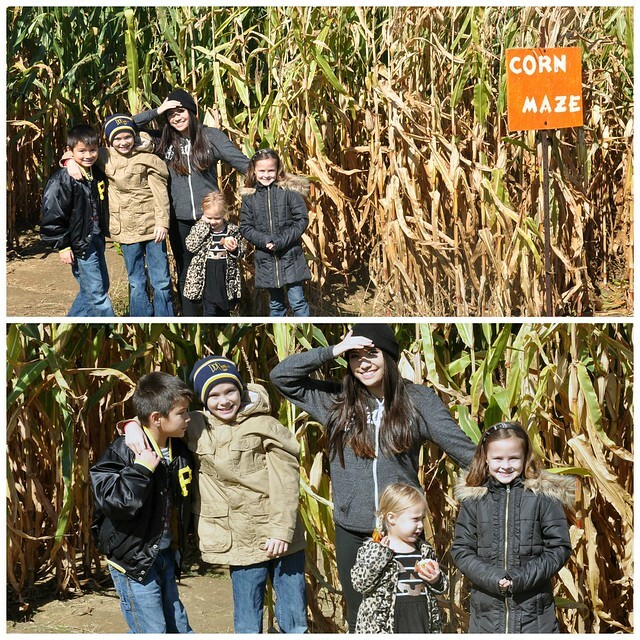 When we got to the top, the kids wanted to go through the big corn maze first! 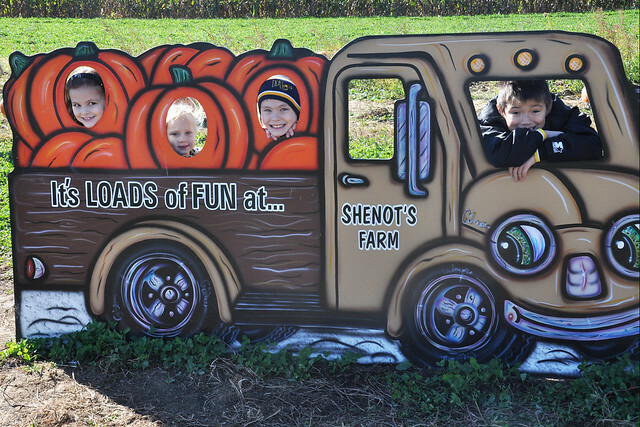 After they raced through it a few times, we headed into the pumpkin patch. 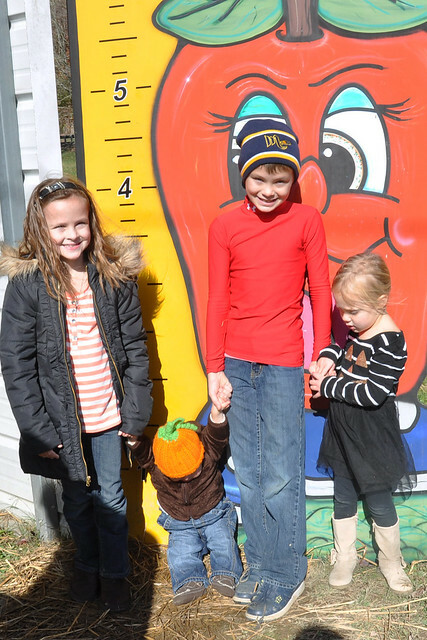 We found our perfect family pumpkin! 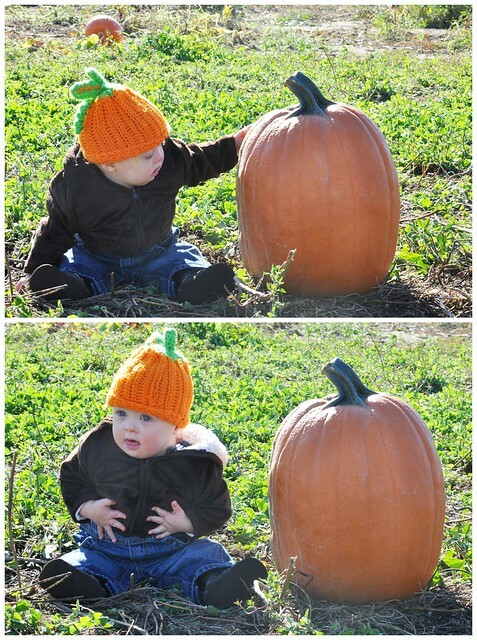 At nearly 32 pounds, it was over double Liam's weight! 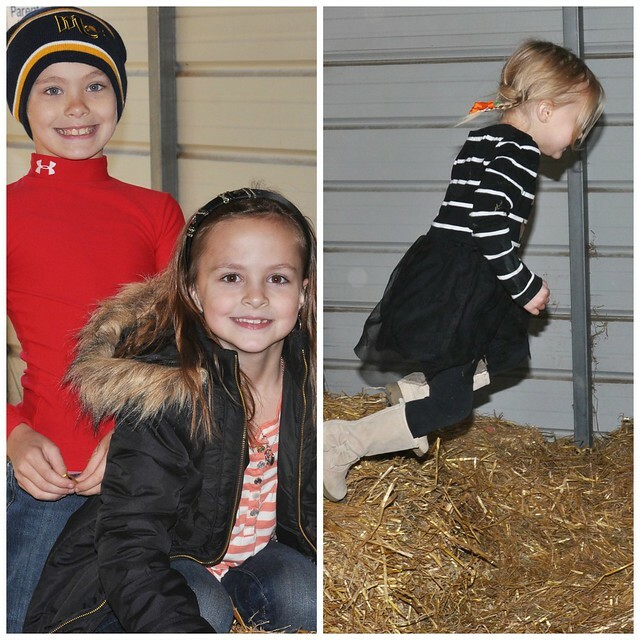 Before long, it was time to get back in line to ride the hayride back down to the farm. 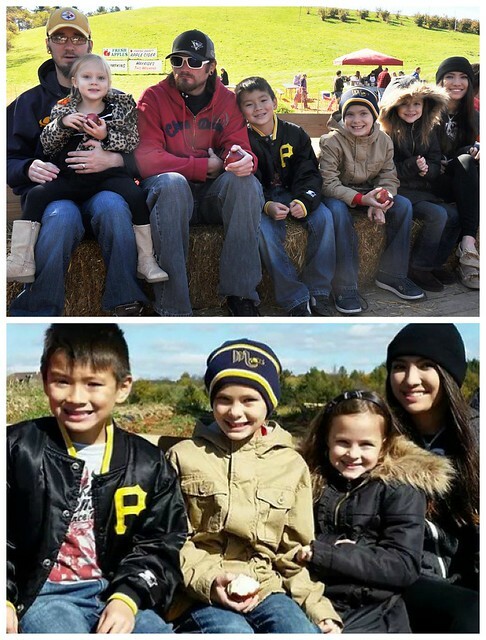 We got back on the wagon, and waved to our friend, Steph, and her family, as our wagons crossed paths! 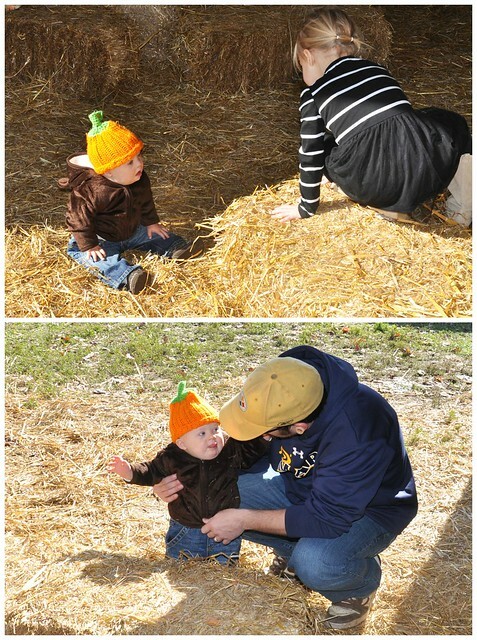 He wasn't as cooperative this year, although he's still one of the smallest pumpkins in the patch! 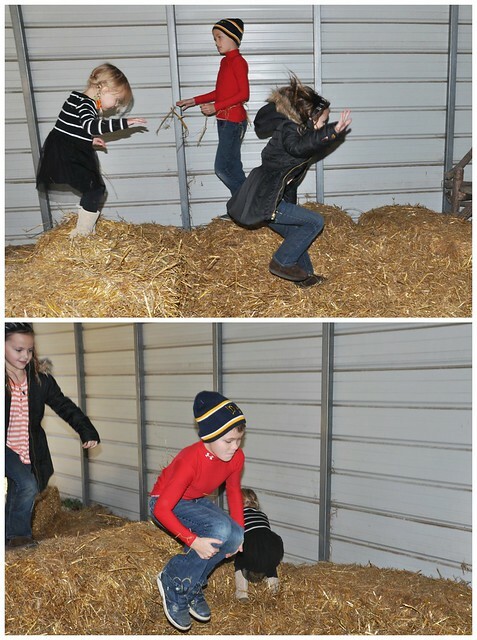 When we got back to the farm, we let the kids play in the straw playground. 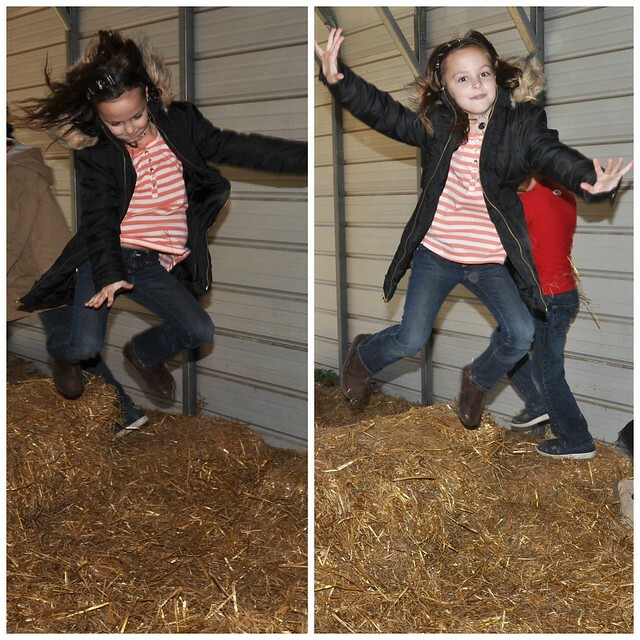 I swear, we just need to fill our yard with bales of hay. 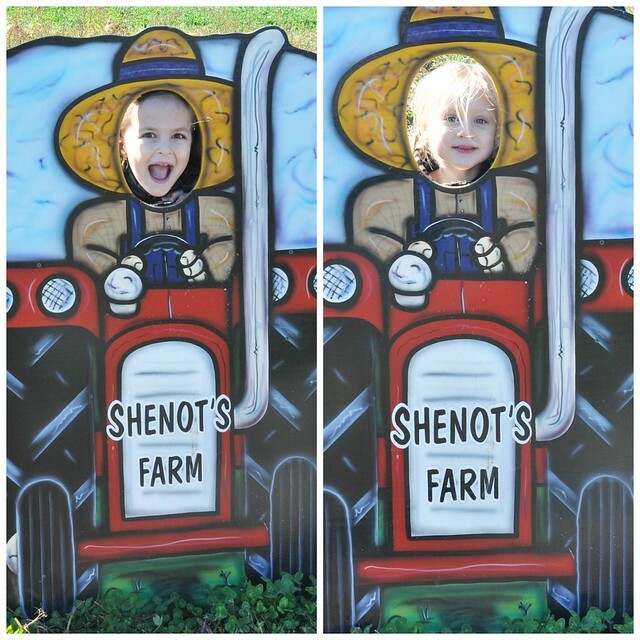 Cheap, and they have so much fun! 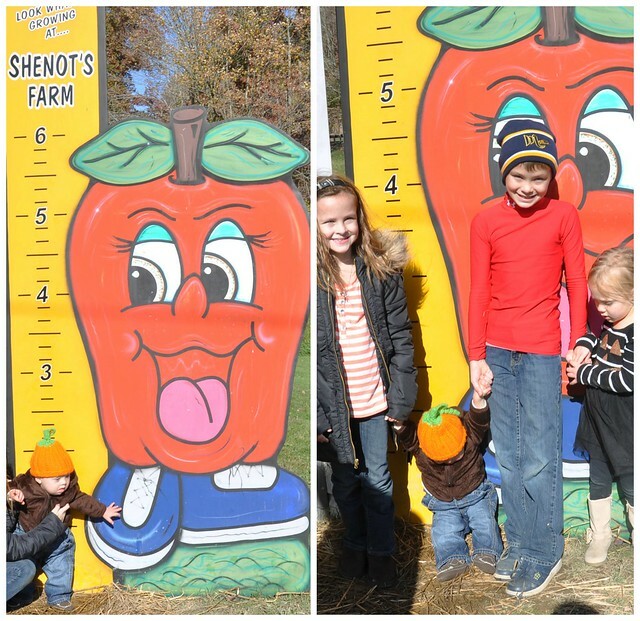 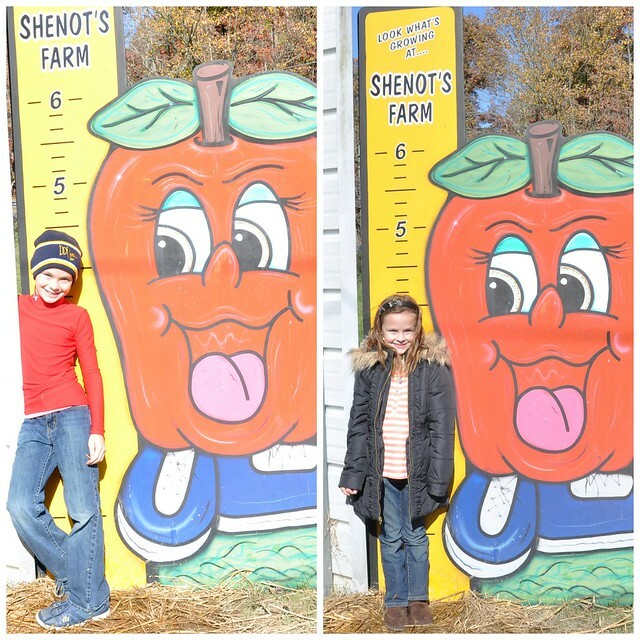 Before leaving, we took the kids pictures in front of the Shenot's Farm sign. 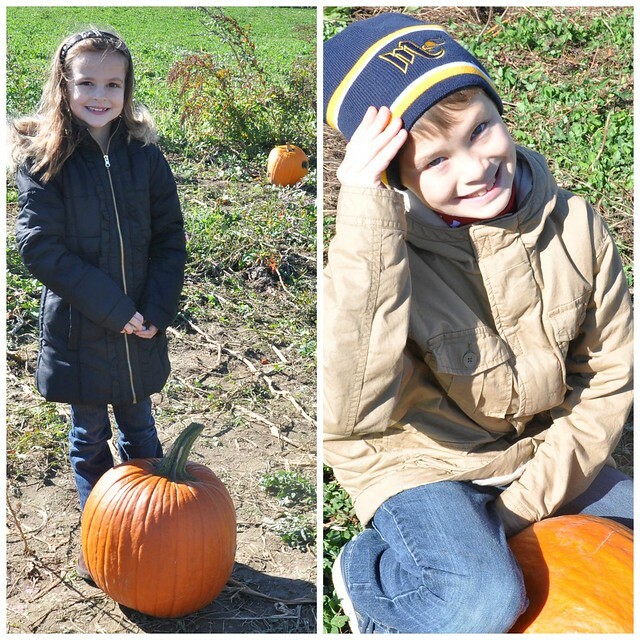 They are growing so quickly! 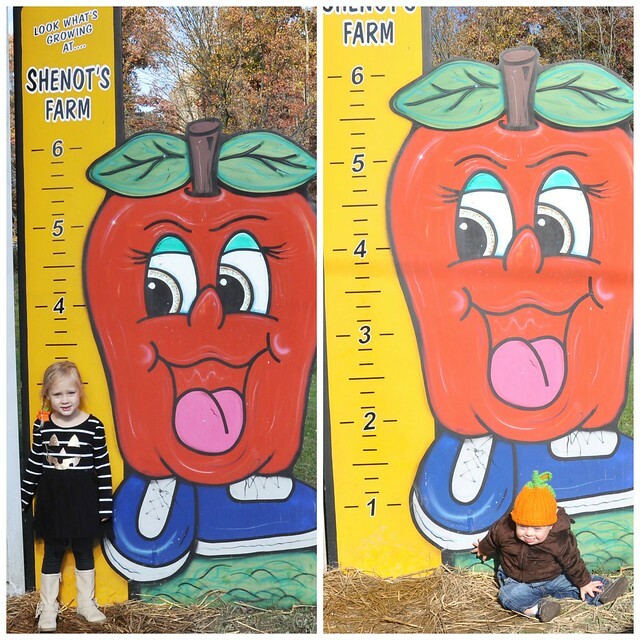 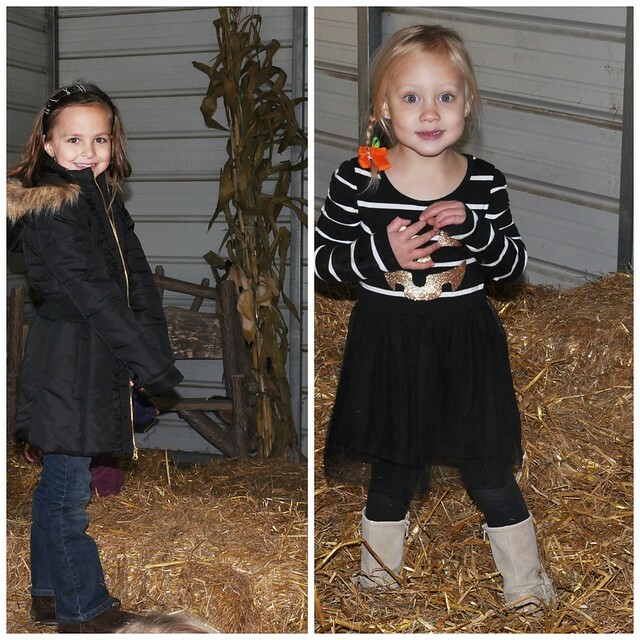 We had another fun year at the pumpkin patch! 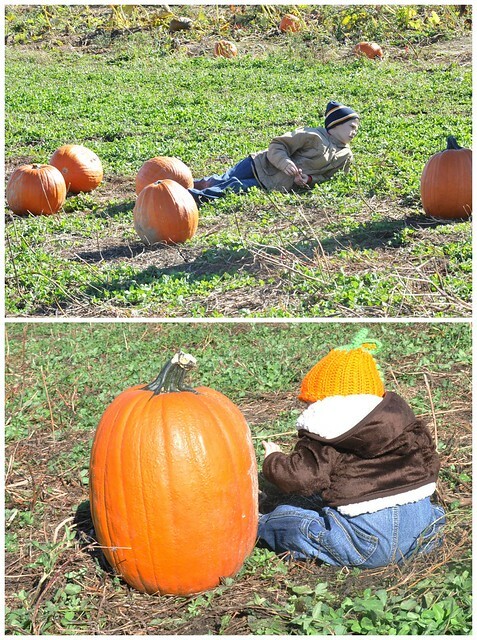 Great pictures!! 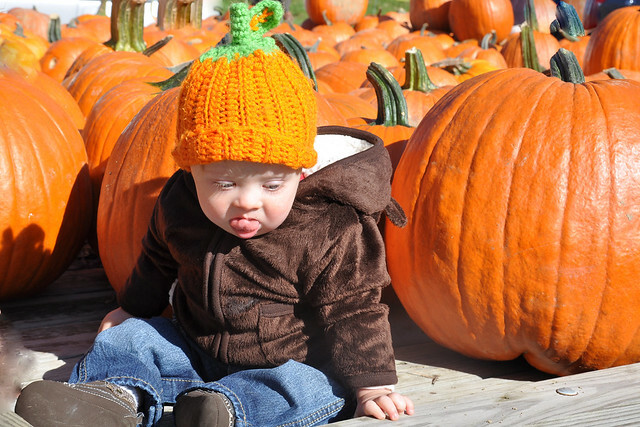 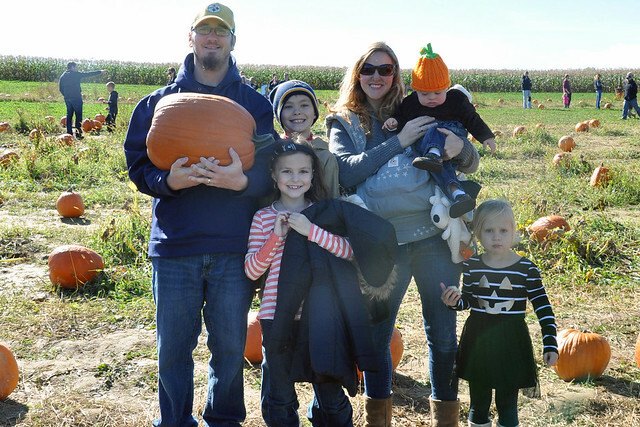 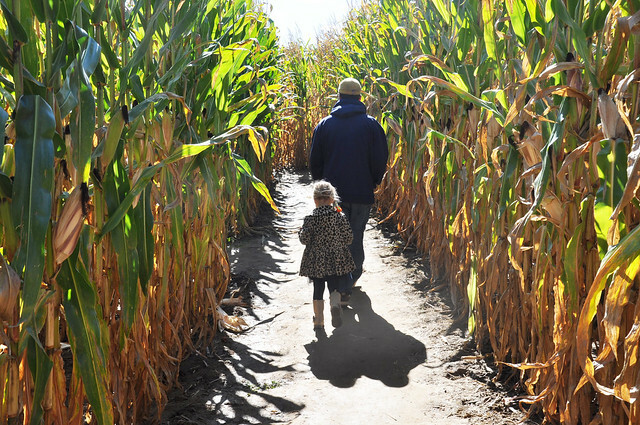 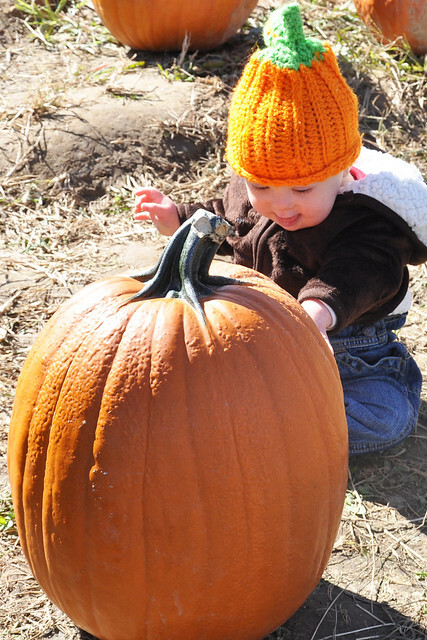 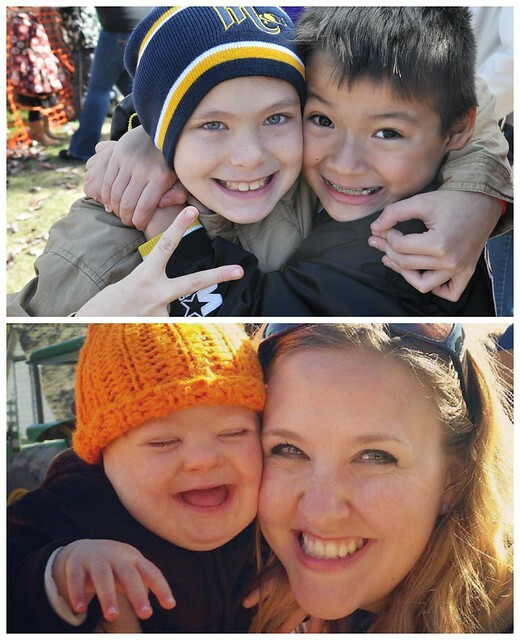 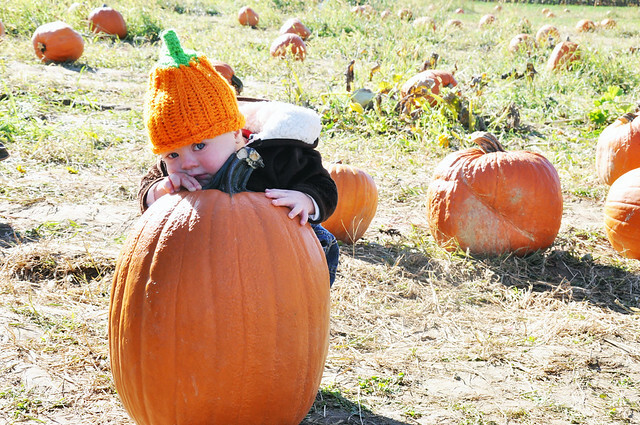 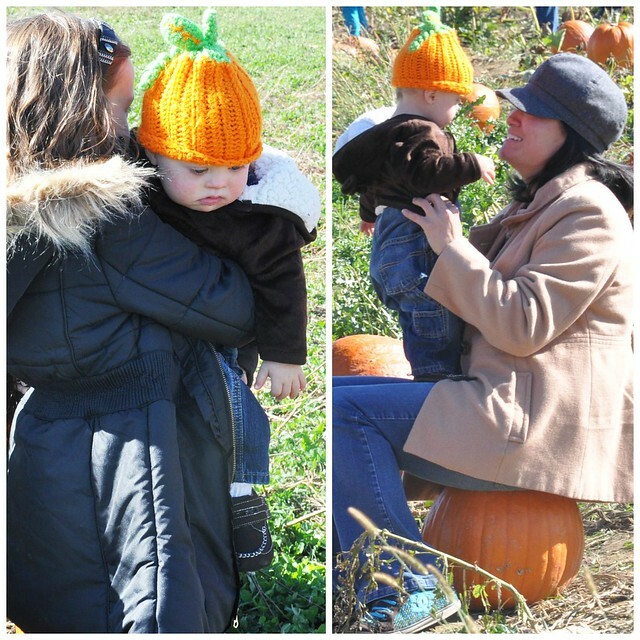 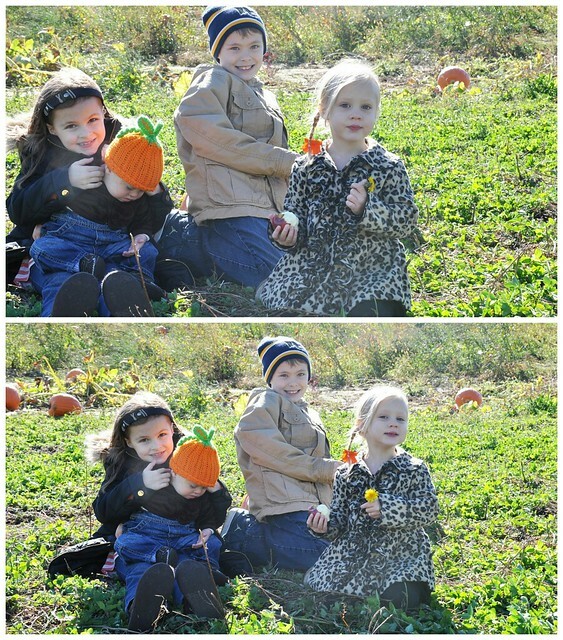 A trip to the pumpkin patch is a family favorite!